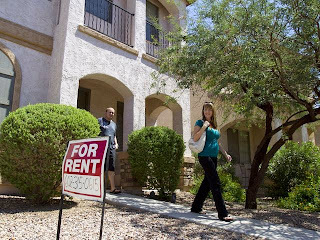 Anyone renewing a lease for a house, condominium or apartment in metro Phoenix likely will be facing a higher monthly payment. Home prices are stable if not down a bit in the Valley, but rents are on the rise. You have posted very useful post. You know I have just finished reading some guidelines while selecting a real estate company for investments. Actually I am going to invest in a most popular Arizona Luxury Real Estate company.